With UNICEF Kid Power, kids’ movement unlocks funding from partners, which UNICEF uses to deliver lifesaving nutrition to severely malnourished children. The more kids move, the more lives they save as their physical activity connects with social impact. UNICEF empowers young people to create solutions to challenges in their communities with initiatives around the world, like Child Friendly Schools and UNICEF Innovation Labs. UNICEF Kid Power provides the same opportunity to kids in thousands of communities across the United States. UNICEF Kid Power gives kids the power to save lives, by connecting their physical activity to social impact. With UNICEF Kid Power, kids run, jump and dance to unlock funding from partners which UNICEF uses to deliver lifesaving nutrition to severely malnourished children. The more kids move, the more lives they save. With this lifesaving impact, kids become more aware of the world around them, and are empowered to solve the challenges they face in their own communities. What impact has the UNICEF Kid Power had to date? UNICEF Kid Power has become one of the largest education–technology programs reaching under-served students in the U.S.; developed a new category of technology as the world’s first Wearable-for-Good®; and been named one of TIME magazine’s 25 Best Inventions of 2016. UNICEF Kid Power has inspired hundreds of thousands of American kids, educators and parents to get active and save lives. As of May 2018, they have unlocked more than 10 million packets, saving more than 70,000 lives. What are the benefits of participating in UNICEF Kid Power? Kid Power instills awareness, empathy and grit in children, qualities that are critical to their social and emotional development. With this lifesaving impact, kids become more aware of the world around them, and are empowered to solve the challenges they face in their own communities. Only 1 in 4 American kids is getting enough physical activity, while almost 1 in 4 globally is malnourished. UNICEF Kid Power uniquely tackles both of these challenges by empowering kids to be part of the solution: by getting more active they can help end global malnutrition. Malnutrition is attributable to nearly half of all deaths of children under the age of five globally. Nearly 17 million children worldwide suffer from the most life-threatening form of malnutrition, severe acute malnutrition. Due to funding, political commitment and capacity challenges in many different country contexts, only 3.21 million children with severe acute malnutrition are reached with lifesaving therapeutic food packets and care (of which UNICEF supports 3.05). UNICEF Kid Power’s immediate focus is to eliminate the funding gap, which is one key factor in preventing the delivery of therapeutic food packets to every child who needs it. How can groups and classrooms participate with UNICEF Kid Power? Apply to participate in our philanthropically funded school program. Check back here Fall 2018 for application details! Purchase bands for your kids! Add impact to your activity breaks with Kid Power Ups. Sign up for Kid Power Ups and every time your team completes a dance, you unlock lifesaving RUTF. Turn an end-of-year event into a Kid Power Day in May. Whether a field day, field trip or soccer tournament, register your event (registration link coming soon!) and your group's activity will unlock lifesaving RUTF. Pro tip: do Kid Power Ups to double your day’s impact! Bring our free educational resources to your class or group and show kids their everyday activity can save lives. With hands-on learning experiences, kids go on missions that help them learn what it means to be global citizens. For more details about each of these offerings, visit the sections below. What impact has the school program had? 260,000 students have unlocked 2.5+M packets of RUTF! Please visit our About page for more details about the impact of the UNICEF Kid Power Program each year. Who is the School Program for? The UNICEF Kid Power School Program is a Kids Helping Kids® initiative designed for school-age children, grades 3-8. The program promotes physical activity and global awareness with real-life impact: saving the lives of severely malnourished children. How does the program benefit my students, school, or community? Kid Power instills awareness, empathy and grit in children, qualities that are critical to their social and emotional development. UNICEF Kid Power provides educators with tools and resources to teach 21st century skills and inspire kids to be effective problem-solvers and gain a better sense of self and community. UNICEF Kid Power integrates global education with experiences that give kids’ actions real-life impact. With this lifesaving impact, kids become more aware of the world around them, and are empowered to solve the challenges they face in their own communities. We paired activity with impact because active students are better learners. Do you have any studies showing the benefits? An independent evaluation of UNICEF Kid Power in Sacramento schools found that kids participating in the program were 55% more active than their peers not participating. Students who engage with Kid Power have also been shown to achieve recommended levels of moderate to vigorous physical activity (MVPA) 44% more days than their peers. Most importantly: 95% of teachers who have participated in UNICEF Kid Power would recommend the program to their peers. What is Kid Power Month? In May 2018, students, educators, families and supporters will come together to celebrate Kid Power Month, a grassroots movement designed to highlight the social impact of UNICEF Kid Power, while informing kids about their tangible real-life impact when they participate in the fight against global malnutrition. Kid Power Month is an opportunity for students, educators and communities alike to engage in civic engagement through physical activity and move one step closer to becoming empowered global citizens. For schools, youth groups and educators, this is the perfect opportunity to turn annual field days and end of year activities into Kid Power Days to get in more physical activity time while developing social-emotional learning competencies. What are UNICEF Kid Power Ups? How can I access these videos? UNICEF Kid Power Ups are brain breaks that save lives! Kid Power Ups give kids the power to end global malnutrition, one dance move at a time. Kid Power Ups are short, interactive, videos with dance moves and music that work from the classroom to the playing field. These videos can power up kids’ bodies and minds, helping them get ready to focus and learn better. By completing UNICEF Kid Power Ups, groups unlock funding from partners which UNICEF uses towards delivering RUTFs to malnourished children globally (just like the regular UNICEF Kid Power Up Program). Sign-up to try UNICEF Kid Power Ups for free, and get access to a collection of Kid Power Up videos that will add purpose--the chance to save lives--to your activity breaks. Visit https://schools.unicefkidpower.org/kid-power-ups/. What are the educational resources and how do I access them? UNICEF Kid Power's educational resources provide kids with an opportunity to virtually explore and experience a country, region, or topic that UNICEF is working on to achieve the Global Goals. Through hands-on social and emotional learning experiences, kids go on Missions that help them learn what it means to be global citizens, and realize that their everyday activity can save lives. These free resources enrich students learning by instilling awareness, grit, empathy and a sense of empowerment, while promoting the development of 21st century skills. They can be easily incorporated into everyday lessons, both in and out of the classroom. All of our educational resources are here, and you can browse by mission topic or activity type! How can I participate in the philanthropically funded Program? The UNICEF Kid Power philanthropically funded program is fully-funded and designed for school-age children, grades 3-8. Priority given to classrooms and groups with children in third, fourth and fifth grades. Some availability for classrooms and groups with children in sixth, seventh and eighth grades. Preference given to teachers at schools with at least 60% of students eligible for free or reduced meals. What are the start and end dates for the 2018 Spring Program? The program will begin on March 1, 2018 and end on May 31, 2018. The application for our Spring 2018 School Program is closed. Please check back Fall of 2018 for our next application. Applications will be reviewed on a rolling basis, and the application deadline is subject to change depending on the volume of qualified applications received. We encourage interested educators to apply as early as possible. What if my group does not qualify for the philanthropically funded program? 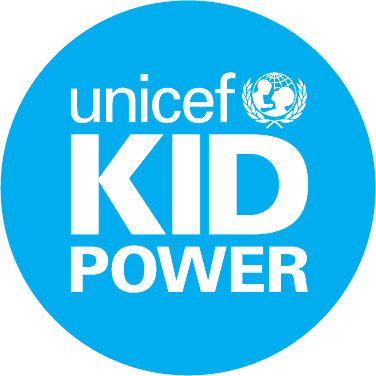 If you don’t meet eligibility requirements for the philanthropically funded program or applied after capacity was reached, you can still participate with UNICEF Kid Power by doing Kid Power Ups, or by purchasing bands for your class or school. I applied - when do I find out if I am accepted to the philanthropically funded program? Applications for our Spring 2018 School Program is closed. However, you can still bring UNICEF Kid Power to your class. Buy a Kid Power classroom kit while supplies last! Applications for the philanthropically funded program will be reviewed on a rolling basis, and the application deadline is subject to change depending on the volume of qualified applications received. We encourage interested educators to apply as early as possible. Can I use my kit from last year to participate with my team this year? After the program is over, kids can keep using the Kid Power Bands to continue getting active and saving lives throughout summer and beyond at home. What materials are provided in the UNICEF Kid Power Kit? The UNICEF Kid Power classroom kit comes with everything you need to lead your team in making an impact through Kid Power. What are the expectations of an educator/program implementer participating in UNICEF Kid Power? Educators (regardless of whether you're a teacher or a group leader) like yourself serve as the UNICEF Kid Power Coach to a team of students. In this role, you will lead your team on virtual Missions to get active, earn points and unlock therapeutic food packets for severely malnourished children around the world. You can also implement our educational resources that incorporate empowerment messages, SEL and global education focuses, as well as physical activity as you see fit. In addition, the UNICEF Kid Power technology is designed to be plug-and-play, and the program adaptable to each teacher’s unique needs. Join us in the celebration and high fives during UNICEF Kid Power Month this May! Do I keep the kit materials after the program is over on May 31, 2018? After the program is over, on June 1, 2018, participants in the 2017-2018 programs can continue using their UNICEF Kid Power Band to get active and save lives throughout summer and beyond. More details will be shared with program participants during their program activation. What is the Coaches Portal and how do I create a Coach account? For participating educators, the UNICEF Kid Power Coaches Portal is your one-stop-shop for everything you need to lead your team in Kid Power, accessible from any computer at go.unicefkidpower.org. This online portal will make it easy and convenient for you to create an account, set up your team, and once you get started, check your team’s impact progress whenever you want. It mirrors what you’ll see on the tablet included in the classroom kit - the only difference is you cannot sync Kid Power Bands on the Coaches Portal. You can only sync Bands on the tablet. Visit the Coaches Portal at go.unicefkidpower.org. Type in the email address you used to apply for the program and follow the steps to verify your account and create your password. Add usernames for your roster of kids. If easier, go ahead and add first names now, and then kids can easily change theirs to a unique username later. After you have added all kids on your team, you are all set! We encourage syncing the Kid Power Bands to the app on the tablet at least once a week. Syncing ensures that every step taken with the Bands is helping severely malnourished children around the world. Can I use my own device to access the Kid Power app? Educators are not able to use alternative tablets or devices to access the UNICEF Kid Power Program App and sync the Kid Power Bands. The app is currently only available on Android. If you have additional questions about the tablet, please email schools@unicefkidpower.org. How do I use the Android tablet? Go to bit.ly/UNICEFKidPowerTablet to access the Tablet Guide and follow the instructions to set up your tablet. The Tablet Guide includes step-by-step instructions for 1) returning Kid Power Coaches who have a tablet from a previous participation, and 2) new Coaches who received a tablet in their Kid Power kit. We are continuously working to improve your app experience. Therefore, the Kid Power app may need to be updated during your program activation. Tap on the menu icon (which looks like three stacked horizontal lines). Click on “My apps and games” and search for the UNICEF Kid Power Program app. Tap on the “Update” button. For more details about the app and tablet, review the Tablet Guide at bit.ly/UNICEFKidPowerTablet. How do I access Wi-Fi on the Android tablet? Open tablet settings (the gear icon). Select the “Wi-Fi” option in the left menu bar. Find and select your Wi-Fi network, then type the network’s password. After connecting, tap on the Home button and relaunch the Kid Power app. For more details about the tablet, review the Tablet Guide at bit.ly/UNICEFKidPowerTablet. How often does the Kid Power Band refresh steps and points? The Kid Power Band measures your daily activity and refreshes every day at midnight. The Band has a memory of 30 days, so all of your Kid Power Points and steps from the past 30 days are recorded when you sync the Band with the Kid Power App. What information does the Kid Power Band measure and how is the information displayed? The Kid Power Band measures a student's physical activity (steps and movement) using the Band’s pedometer and accelerometer. The Band does not track the student's location, and does not have access to any location data or personal information. The UNICEF Kid Power Band is the world’s first WEARABLE-FOR-GOOD®, giving kids the power to get active and save lives. The UNICEF Kid Power Band is a one-size-fits-most fitness band that tracks both steps and movement. This physical activity earns Kid Power points, and points unlock therapeutic food packets to help save lives. When you wear the UNICEF Kid Power Band, the more you move, the more points you earn and the more lives you save! How do I turn my Kid Power Band on? Where are the buttons? How do I charge the Kid Power Band, and how often? The UNICEF Kid Power Band is water-resistant—it holds up with rain and hand washing, but don’t take it diving or swimming. The Bands are not waterproof and may not function after extensive exposure to water for long periods of time, like when swimming or showering. If the Kid Power Band has not been synced to the app yet, tap on the screen twice times to see the Band's device ID. If the Band has already been synced to the app, tap on the screen four times until you see the username. Press the screen with username for 3 seconds, and then release to see the device ID. How often should I sync my team's Kid Power Bands? We encourage syncing your Bands to the Kid Power app on the tablet at least once a week. This ensures every step taken is helping severely malnourished children around the world. How do I sync my team's Kid Power Bands? Make sure the Kid Power Bands are right next to the tablet for a successful syncing experience. To sync all your Bands at once, simply tap on the “Sync All” button at the bottom of your team page in the app. To sync an individual Band, tap on a user profile and tap the “Sync” button. You’ll know the Band successfully synced when it vibrates! How can I unlink a Kid Power Band? Click on the profile the band you would like to unlink is currently linked to. Make sure the Band you would like to unlink near the tablet. Click "unlink". When prompted, type in your coach password. Now that Band will be "unlinked" from that profile. When you tap on the Band's screen four times, it will still display the former username. This username will remain until it is re-linked to another profile. Create a new profile, if you have not done so. Tap on the Band's screen four times, then long-press on the fourth screen with the username. Release, and the Band's 5 digit ID code will appear. Tap the scan icon to find that Band's 5 digit ID code. Once you locate it, click on it. Then tap on the “sync” button. That Kid Power Band is now linked to the new profile and the new username will now appear on the Band. How do I link a Band to a profile on the Kid Power app? Tap open a student profile. Take a Kid Power Band and tap on the screen twice. On the second screen, you’ll see a five digit device ID. Start typing the five digit device ID into the app to narrow down the Band ID results. Select the correct Band ID and tap the “sync” button. Wait a few seconds for the Band to link to the student profile. The Band will vibrate when it has successfully linked and you’ll now see the student’s username on the fourth screen of the Band. Severe Acute Malnutrition (SAM), the most extreme form of malnutrition, is a life-threatening condition that affects nearly 17 million children worldwide and requires urgent treatment, including therapeutic food packets, programs to manage SAM at the community level, as well as malnutrition prevention programs. Ready-to-Use Therapeutic Food packets (referred to as RUTF or therapeutic food), contain a specially-designed protein and vitamin-rich peanut paste, allowing children who are severely malnourished to be treated successfully in their communities. The average course of treatment for a severely malnourished child consists of 150 therapeutic food packets over the course of 30 days. How is a Kid Power point measured, and how many does it take to unlock a therapeutic food packet? The UNICEF Kid Power Band is a one-size-fits-most fitness band that tracks both steps and movement. This activity earns Kid Power points, and points unlock therapeutic food packets to help save lives. It takes about 2,400 steps to earn one Kid Power point. UNICEF Kid Power encourages a daily goal of five Kid Power points, which is about 12,000 steps—the daily amount of steps recommended by the National Institutes of Health. Ten Kid Power points unlocks one Ready-to-Use therapeutic food packet to treat a severely malnourished child. Where will the therapeutic food packets unlocked with UNICEF Kid Power be delivered? When kids get active and earn points, they are increasing the global supply of therapeutic food by unlocking funds that UNICEF can use to procure and deliver therapeutic food packets to children in need. Countries and communities receiving therapeutic food packets are determined by UNICEF, based on the magnitude and urgency of need for therapeutic food, and local capacity to implement and scale-up programs combating severe acute malnutrition. What are Kid Power Ups? UNICEF Kid Power Ups are Brain Breaks That Save Lives and give kids the power to end global malnutrition, one DANCE MOVE at a time. Kid Power Ups are short, interactive videos, three to five minutes in length, with simple dance moves and music that can be played virtually anywhere—from the classroom to the playing field. By completing UNICEF Kid Power Ups, groups unlock funding from partners which UNICEF uses to deliver lifesaving nutrition to severely malnourished children. The more kids DANCE, the more lives they save. Each time a group completes a Kid Power Up video, they are one step closer to unlocking a therapeutic food packet to help treat a severely malnourished child. The more kids DANCE, the more lives they save. Register to try UNICEF Kid Power Ups for free, and get access to a collection of Kid Power Up videos that will add purpose—the chance to save lives—to your activity breaks. Active students make better learners. Research has shown that short activity breaks in the classroom improve students’ performance, focus and behavior. Kid Power Ups do all that plus give kids a chance to turn their “brain breaks” into a lifeline for severely malnourished kids. Kid Power Up videos were produced in collaboration with Les Mills / BORN TO MOVE™. Are Kid Power Ups free? Yes; UNICEF Kid Power Ups are free! If this ever changes we will notify all registered users in advance. Do I need Kid Power Bands for Kid Power Ups? Nope! You do not need a UNICEF Kid Power Band to do the videos! This a band-free and cost-free offering. Just register/sign in, hit play and get moving to unlock therapeutic food packets! How often should I play Kid Power Up videos? We encourage you to play at least one Kid Power Up video per week, but you're welcome to play as often as you like. They're great for getting rid of pre-test jitters, refocusing on a long day, and so much more. Each video is about 5 minutes long. There are uptempo videos (with simple dance moves) and even some yoga videos to help kids relax and refocus! Is there a deadline for turning in Trick-or-Treat for UNICEF donations? The 2017 campaign runs from July 1, 2017 to June 30, 2018. But you can help save and protect children any time of the year by donating to UNICEF right now! Trick-or-Treat for UNICEF funds submitted after June 30, 2018 will be applied to the next year’s campaign. Find the ways to donate here. What will this year's funds support? Since 1950, Trick-or-Treat for UNICEF funds have helped UNICEF save and improve children's lives around the world through immunization, education, health care, nutrition, safe water and sanitation, emergency relief, and more. The order form will open late summer, and remain open until the week before Halloween. Have more questions? See the full list here! Who is responsible for UNICEF Kid Power? UNICEF Kid Power is a program of UNICEF USA and is made possible through the generous support of Presenting Sponsors Star Wars: Force for Change and Target, as well as local supporters, parents and fans. UNICEF USA provides educators with the tools, resources and experiences to empower the next generation of global citizens. We have fostered a community of educators and like-minded individuals who are passionate about children and global learning. Through this community, we support initiatives that promote Kids Helping KidsⓇ experiences; and share free resources that help teach children about UNICEF, the Global Goals, and what it means to be a global citizen today. Will UNICEF Kid Power collect information or data from participating kids? How is UNICEF Kid Power compliant with regulations around children and internet safety? Activity data for each kid is always kept private and only accessible to the coach (educator). Activity data for a team is viewable to the public as a group aggregate, allowing teams to track their progress compared to other teams. Children’s activity data is only tied to a screen name, grade, gender, and device ID. The Band does not track location and does not have access to any location data or personal information. UNICEF Kid Power is compliant with the Children’s Online Privacy Protection App (COPPA). No personally identifiable information is collected from children under 13 years of age. All data on physical activity syncs to the app anonymously. Children’s Kid Power Bands are registered with their first name or a nickname, so the data we receive does not include any personal information. All data on student physical activity is gathered and viewed in the aggregate, creating compliance with the Family Educational Rights and Privacy Act. Our educator resources include information letters for parents explaining the UNICEF Kid Power program and the UNICEF Kid Power Band’s functionality.